If you want a muscle car but also require some practicality, keep in mind that the Challenger has the most spacious back seat of this crop; trunk space is surprisingly vast as well. A seductive seductive callback to the Seventies, the Dodge Challenger is modern interpretation of the Mopar classic, and it competes with musclecars like the Camaro and Mustang. But once you've been able to turn away from its pitch-perfect flat hood and decklid, and tuned out its roaring HEMI V-8, it's also a comfortable coupe--a touring car with a well-damped ride and plenty of up-to-date infotainment gear. The 2013 Dodge Challenger definitely tries harder to be a loyal interpretation of the original muscle-car designs that inspired it--and appeal to aging Baby Boomers--and its retro-modern look somehow manages to span classy and cartoonish, without seriously alienating any age groups. The flat sheetmetal, classic long nose, and vivid color palette all channel the muscle cars of the Sixties and Seventies. SRT8 Challenger models cherry-pick some of the best, most aggressive details from muscle-car history and pack them all in, with deeper air dams, functional brake ducts, and options for a Ram air hood and various striping packages. Inside, the design isn't what you might expect; it's spare and modern (some with a LCD touch screen), and nearly an about-face to the exterior--to the degree that the available pistol-grip shifter can feel a little out of place. The Challenger looks the biggest and stoutest of the muscle cars, and while it's really not much heavier it doesn't drive with the crispness of the Camaro or the leanness of the Mustang. The combination of a longer wheelbase and somewhat more forgiving suspension tune, especially in V-6 form, give the Challenger more of a 'presence' on the road--and a little less precise. Part of that has to do with the Challenger's steering, which is simply too light. Ride quality is very well damped, and SRT8 models now offer an adaptive suspension with normal and sport shock modes. That slightly larger size pays dividends inside, where the Challenger is the only one of the muscle coupes to offer seating for five. Technically, access to the back seat involves some contortion, and you'll only have two adults try sitting back there, but it's doable. In front, nice supportive seats and plenty of headroom (much more than the Camaro, thankfully). And at 16 cubic feet, the trunk is larger than those of some sedan models. All told, an SRT8 can total more than $50k, which arguably makes it something other than a muscle car. If this is a car that pushes all the right nostalgia buttons, that might be just fine. Even compared to other muscle machines, the 2013 Dodge Challenger takes retro to an extreme on the outside; inside it's modern and cohesive, though. The 2013 Dodge Challenger definitely tries harder to be a loyal interpretation of the original muscle-car designs that inspired it--and appeal to aging Baby Boomers--and its retro-modern look somehow manages to span classy and cartoonish, without seriously alienating any age groups. 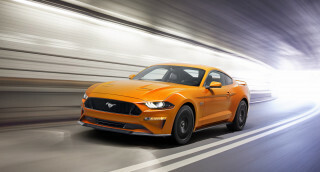 Style-wise, the flat sheetmetal, classic long nose, and vivid color palette all channel the muscle cars of the Sixties and Seventies, as do the horizontal grille and very thin, straight-across rear fascia and taillights. 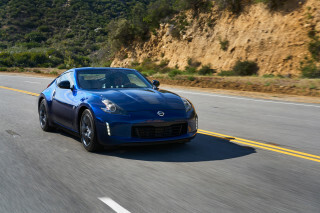 A high shoulder line and rather short window openings give the car more of an exaggerated, macho profile, although that strategy takes its toll functionally—in outward visibility, for example. Otherwise, SRT8 Challenger models cherry-pick some of the best, most aggressive details from muscle-car history and pack them all in, with deeper air dams, functional brake ducts, and options for a Ram air hood and various striping packages. SRT8 models also get special badging, carbon fiber trim, xenon headlamps, and more aggressive aerodynamics. No matter what's under the hood, the 2013 Dodge Challenger is satisfying and quick--though some will simply head straight for the 6.4-liter SRT8. While you get the same fundamentally retro, eye-catching look no matter which 2013 Challenger model you get, there's quite a performance difference ranging from basic SXT V-6 models up to the high-performance SRT8. True muscle-car enthusiasts should of course leap for the R/T models, which pack a 375-horsepower Hemi V-8, along with a throaty, gorgeous rumble. But for the full monty of muscle-car goodness you'll need to get the SRT8, with a "392" engine (6.4-liter) that makes 470 horsepower and 470 pound-feet of torque, with either a manual or an automatic transmission. The Challenger looks the biggest and stoutest of the muscle cars, and while it's really not much heavier it doesn't drive with the crispness of the Camaro or the leanness of the Mustang. Those with an eye on the drag strip might also note that the Challenger's hefty curb weight and power come up short of the competition. The combination of a longer wheelbase and somewhat more forgiving suspension tune, especially in V-6 form, give the Challenger more of a 'presence' on the road--and a little less precise. Part of that has to do with the Challenger's steering, which is simply too light. Ride quality is very well damped, and SRT8 models now offer an adaptive suspension with normal and sport shock modes. 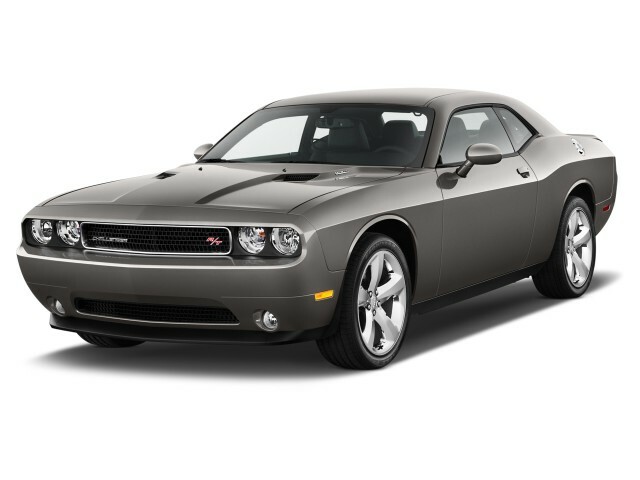 Given its muscle-car pedigree, the 2013 Dodge Challenger is more practical and comfortable than you might think. The Challenger's larger size versus the Mustang and Camaro pays dividends inside, where the Challenger is the only one of the muscle coupes to offer seating for five. It also provides more refined cabin appointments in general, and a more smooth, sophisticated ride in all but the top performance versions. The front seats will find many fans. Well-bolstered, supportive, yet not too hard, they're great for day-long drives. The Alcantara and leather upholstered seats in the SRT8 model are even better, combining comfort with breathability and driver security in aggressive maneuvers. Outward visibility is a weakness of the Challenger's high-shouldered design, but safety equipment is generous. While the Challenger hasn't been rated by either of the U.S. agencies, it includes a good set of safety equipment. The NHTSA (National Highway Traffic Safety Administration) has tested the Challenger and has given it an excellent five-star crash-test rating, with five-star results for all tests save the four-star number assigned to rollover resistance. However, the NHTSA notes that, "During the side impact test, the driver door unlatched and opened. A door opening during a side impact crash increases the likelihood of occupant ejection." Outward visibility is one significant concern, given the Challenger's high shoulders, thin wide windows, thick rear pillars, and rather low seating position. 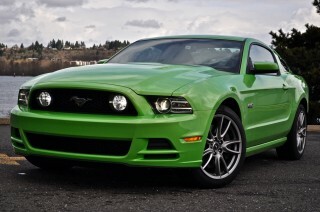 One concern for buyers of the 2012 Challenger may be visibility. It can be hard to see blind spots when changing lanes, as well as the rear of the car when backing up, or even the front of the hood when parking. 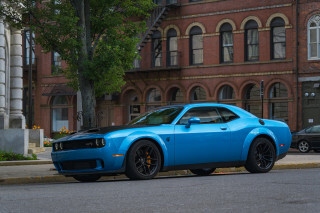 For an affordable base price, the 2013 Challenger offers a lot of features; R/T or SRT8 models may be accompanied by some sticker shock, though. Considering that the Challenger seduces with its retro good looks and the crackle and burble of its V-8 engines, it's a bit surprising that these models are as well equipped as they are for the money—at least toward the more affordable end of the lineup. The base 2013 Dodge Challenger SXT includes automatic climate control; power windows, locks and mirrors; a CD player; and cruise control, as well as a trip computer, Keyless Enter-N-Go, and a power driver's seat. SXT Plus models add soft Nappa leather seats, heated front seats, ParkSense park assist, fog lamps. On top of that, a Rallye Redline edition adds an exaggerated 'bad-boy' look plus a lower axle ratio, performance suspension and steering tune, and larger disc brakes. 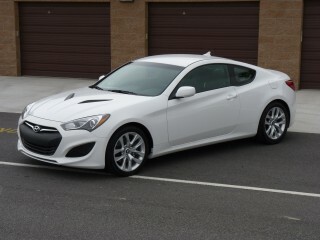 There are quite a few special appearance, striping, wheel, and trim packages offered on top of these core trim levels. All told, an SRT8 can easily total more than $50k, which arguably makes it something other than a muscle car. If this is a car that pushes all the right nostalgia buttons, that might be just fine. For a showy muscle machine, the 2013 Dodge Challenger V-6 is quite efficient; we can't say the same of V-8 models. 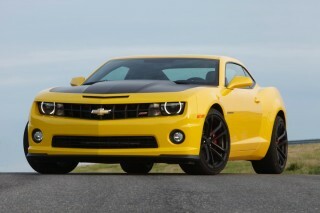 The 2013 Dodge Challenger is first and foremost a brash, attention-getting muscle car. So it's not all that surprising that the Challenger doesn't put any priority on gas mileage. V-6 models are the best compromise in the lineup for those who still want to mind their gallons, their CO2, or their fuel budget. 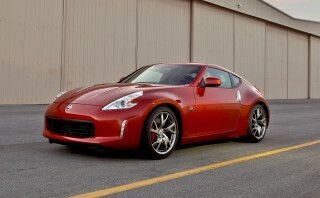 They manage an EPA-estimated 18 mpg city and 27 mpg highway. I only have 4,019 miles on the vehicle at this time .